Drywall, also known as sheetrock, rock, or wallboard, is an important part of building a house. 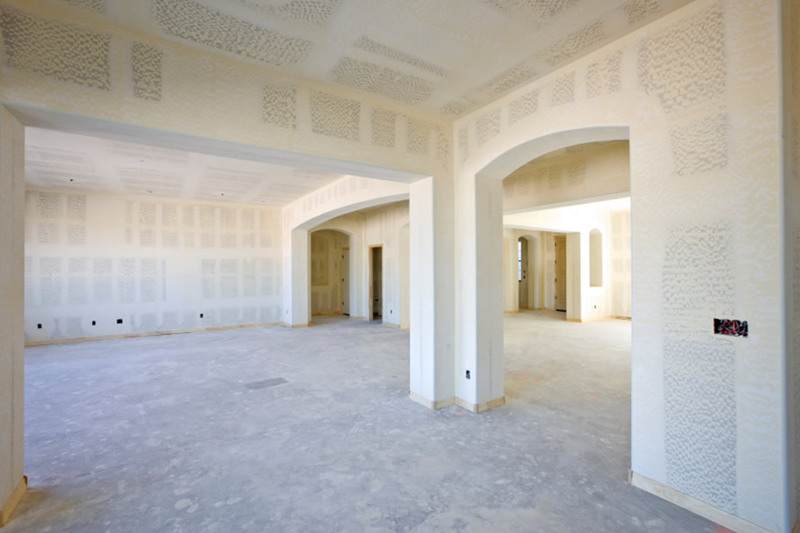 Drywall is a very common building component of homes and businesses. It is the surface that many different covering applications are placed on. Usage of compositions that fit the environment is very important. For instance, there are various moisture resistant products commonly called "green rock" designed for installation in high moisture areas such as garages and bathrooms. If your home has old and tattered wallpaper, Lujan Construction can professionally remove it, rehabilitate the surface, and give you a beautiful surface that we can either paint or apply a textured surface to. We make sure that all joints between drywall sheets are taped as well as corners where drywall sheets meet. The staff at Lujan Construction will visually inspect the location of drywall installation to look for potential concerns like piping and venting to avoid drywall installation that has bowed walls.